Based on information given by bassist and orchestra teacher Mauricio Rodriguez, at a strings clinic I attended recently. The bass should be viewed as an extension of your body, it should be very natural and you should not be doing anything uncomfortable. While there are different styles of playing the bass (it is very versatile), these are basic fundamentals which should not be changed. Bass size: The size of bass that an adult uses is a ¾ size bass. This is the normal size. A full-sized bass is huge, and is not commonly used. Basses do come in smaller half-sizes for smaller students. Bass height: stand up straight with the bass facing you. The bridge should be at the level of your second joint in your fingers. The bass should never be too high for the person playing it. Holding the bass: stand up straight with your left arm straight out and grasp the bass by the base of the neck (essentially the bass is straight up, parallel to your body). Gently lean it on yourself, with your stomach or shoulder helping to support it. (Some people also put their left leg behind the lower bout to support it.) You should not change your posture at all, it should be natural. In this position, when you shift to higher positions the bass can be supported on your left shoulder as your left hand moves closer to the bridge. Left hand position: In the position known as “half position”, the player’s first finger should be at the level of their eye (if the endpin height is correctly adjusted). The hand should be held as though you are holding a large cup in your hand, with the thumb approximately opposite the middle finger NOT opposite the first finger. Your left hand should always remain in contact with the instrument, even when you begin shifting positions. The thumb should be about 95 degrees on the back of the neck, perpendicular to the finger board. Many teachers start the bassist in a higher position (which would be lower, closer to the bridge) because small, young hands have difficulty in depressing the strings. I believe the position starting in was 4th position, but I am not sure. Once the student develops the hand shape and strength, then they can play in half position near the scroll of the bass. Also, check the action of the strings to be sure it is not too high. Action refers to the distance that the strings are from the finger board, and can only be lowered by adjusting the bridge height. I suggest you have a professional do this, as the modifications are very specific and must be done correctly. A good way to practice shifting is to slide up the whole C major scale, keeping the same hand shape. Begin C, slide to D, back to C, C-D-C-E-C-F…etc. and then go back down the scale. Positions: There are several positions that the bassist’s hands must be able to move to in order to play the bass. These positions are half, 1st, 2nd, 2.5, 3, 3.5, 4, 5, 5.5, and 6th. (I believe there may be more but I did not notate them all in my notes. I will check and get back to you). Notice that there is no 1.5 or 4.5 position. That is due to the half steps between certain notes. Bass strings: from low to high, the bass is tuned in 4ths, the strings are E, A, D, G.
Vibrato: To start to learn vibrato hold your left hand out as though you were making an L to the side of your body (also the same as left-turn signal for bicyclists). Rotate at the elbow so your hand goes parallel to the ground, like the motion of a robot arm (or some might suggest basketball bouncing). Then, as you keep doing this motion, turn your hand so that it is in correct bass playing position. Slowly bring your hand to the bass (still doing that motion) and place your finger on the strings. It can, and should, take about 2 weeks of doing vibrato with ONLY the left hand to do it correctly, before adding the right hand. You can also use a “tap” procedure of tapping the remaining fingers (2, 3, 4) on the strings to help get the feel of vibrato. Bows: There are two types of bows used for the bass, the French bow, which looks like a larger version of a violin bow, and the German bow, which is much wider than the French. (Also, the difference between the violin bow and the viola bow is that the violin bow is square at the corner of the frog and the viola bow is rounded.) Bow hold is something difficult to describe. To hold the French bow, you lean it on your index finger and balance with the thumb (keeping thumb bent, like holding a can). Add the second finger and “wiggle” the bow between the thumb and those two fingers. The German bow hold appears as though you will drape your hand around the bow. I will include some image resources at the end of the article for you to get a better picture of the two holds. To make the sound softer, use a little less bow hair. Rotate the wrist slightly so that the bow hair points toward the bridge (this can also apply to shoulder instruments). The right hand placement of where you are bowing must complement the left hand position. When the left hand moves toward the bridge, the right hand bowing must also make a similar modification. Slurring: To practice slurring, divide the bow into the number of notes that you will be playing. You can even make a mark on the bow with a pencil to help the student visualize it. For example, if you are slurring four quarter notes, divide the bow into four parts. The D major scale is one of the most common scales for the beginning orchestra to learn, but it is one of the more difficult scales for the beginning bassist. Some method books have the scale “displaced” and playing in the lower octave. It was a general consensus at the workshop I attended that this is a BAD idea. It is better to just help them to learn the shifting of the instrument. There are only a few scales that can be played in 1st position, I believe one of them is F, but I cannot recall the other. Do the bassists stand or sit? One of the big questions of bass playing is whether to stand or to sit. While sitting sometimes helps younger students to balance the instrument, the important thing to remember is whether you can play properly without sacrificing technique. Sometimes playing the bass sitting down can cause your technique to differ from the standing position. 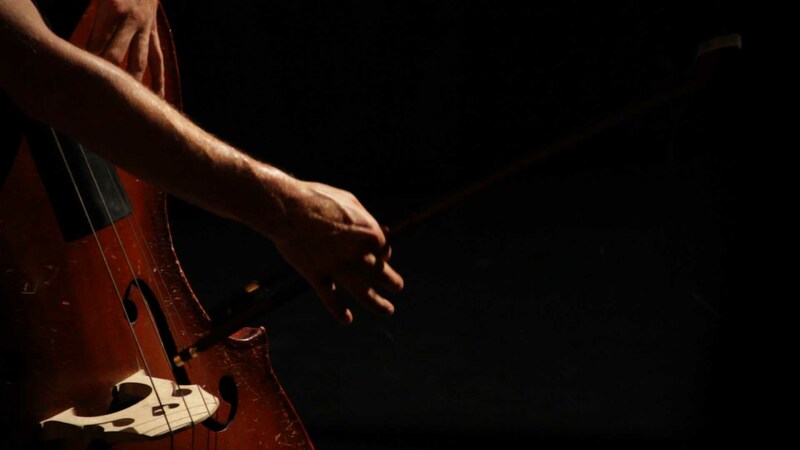 Whatever you choose, it looks best on stage if all students can do the same thing, and also bear in mind that it is most likely that every bassist will need to know how to play standing up. If you do choose to use a stool, be sure to get one 48 inches in height. They are available at Walmart for about $15. Etude books by Bottesini and Hrabe. This entry was posted in Instruments and tagged action, basics, bass, bass for dummies, body, bout, bow, bowing, bows, class, contra, double, dummies, endpin, etude, finger board, French, German, hair, height, help, hold, how-to, left hand, lesson, material, music, neck, orchestra, position, posture, repair, resources, right hand, scales, scroll, size, string, strings, teach, teachers, tips, tricks, tutorial, upright, website. Bookmark the permalink.